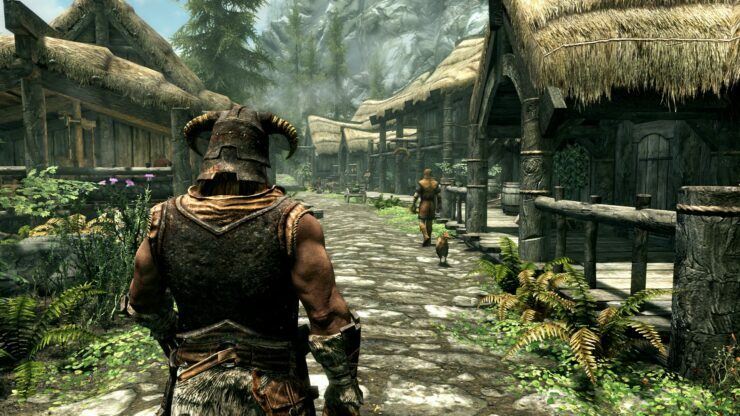 As strongly as many RPG fans would like an Elder Scrolls VI release to come as soon as possible, Bethesda seems to feel differently. You might remember that during E3 2016, Director and Executive Producer Todd Howard told IGN about two new projects the development team is working on. Pete Hines, Vice President of Public Relations and Marketing, then clarified that those projects are as big as a new Fallout or Elder Scrolls game and that they would happen before Elder Scrolls VI. This studio is not a vending machine. They’re not a two-button vending machine, where first we press Elder Scrolls and then we press Fallout, and then we press Elder Scrolls and then we press Fallout… They’re an incredibly talented studio of creative people. They’ve now made four games in a row, all of which were named Game of the Year, and they have a right to decide what they’re interested in working on next and which direction they want to go. I, for one, am perfectly willing to ask questions, but I’m not going to second guess Todd Howard when he says we want to do this next, and this, and then Elder Scrolls VI happens somewhere down here. He’s got reasons why, and I think once we get down the road, those reasons will be more evident to folks once we get there, or maybe not. But at the end of the day, these folks have a right to not just have to make Elder Scrolls game after Elder Scrolls game, which is why they switched to Fallout, and they have a right to stretch their legs and try something else or do something different. I know what they’re working on for the next decade, and I think all of them are things to get excited about, for different reasons, and once they come out, folks will enjoy them for what they are. That certainly makes sense from a creative standpoint and it would be exciting to see what Bethesda Game Studios can do with a brand new IP. In the meantime, it’s not like there’s nothing for Elder Scrolls fans between the continued support of Elder Scrolls Online, the new collectible card game Elder Scrolls Legends and the upcoming The Elder Scrolls V: Skyrim Special Edition, due to be available for PC/PlayStation 4/Xbox One on October 28th.